We’d love your help. Let us know what’s wrong with this preview of Jim Henson by Brian Jay Jones. For the first time ever-a comprehensive biography of one of the twentieth-century's most innovative creative artists: the incomparable, irreplaceable Jim Henson. He was a gentle dreamer whose genial bearded visage was recognized around the world, but most people got to know him only through the iconic characters born of his fertile imagination: Kermit the Frog, Bert and Ern For the first time ever-a comprehensive biography of one of the twentieth-century's most innovative creative artists: the incomparable, irreplaceable Jim Henson. This extraordinary biography--written with the generous cooperation of the Henson family--covers the full arc of Henson's all-too-brief life: from his childhood in Leland, Mississippi, through the years of burgeoning fame in Washington D.C., New York, and London, to the decade of international celebrity that preceded his untimely death at age fifty-three. 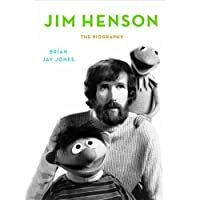 Drawing on hundreds of hours of new interviews with Jim Henson's family, friends, and closest collaborators, as well as unprecedented access to private family and company archives--including never-before-seen interviews, business documents, and Henson's private letters--Brian Jay Jones explores the creation of the Muppets, Henson's contributions to Sesame Street and Saturday Night Live, and his nearly ten year campaign to bring The Muppet Show to television. Jones provides the imaginative context for Henson's non-Muppet projects, including the richly imagined worlds of The Dark Crystal and Labyrinth-as well as fascinating misfires like Henson's dream of opening an inflatable psychedelic nightclub or of staging an elaborate, all-puppet Broadway show. An uncommonly intimate portrait, Jim Henson captures all the facets of this American original: the master craftsman who revolutionized the presentation of puppets on television, the savvy businessman whose deal making prowess won him a reputation as "the new Walt Disney," and the creative team leader whose collaborative ethos earned him the undying loyalty of everyone who worked for him. Here also is insight into Henson's intensely private personal life: his Christian Science upbringing; his love of fast cars, high-stakes gambling, and expensive art; and his weakness for women. Though an optimist by nature, Henson was haunted by the notion that he would not have time to do all the things he wanted to do in life-a fear that his heartbreaking final hours would prove all too well-founded. To ask other readers questions about Jim Henson, please sign up. 585 pages is quite a lengthy book. Does the author dwell too much on minute details or is there really that much to say about this wonderful man? When people ask me why I became a writer, I often cite books that I read as a child, and authors, as being my inspiration. But that's not quite true. That's really what people want to hear (especially if those people are librarians and teachers). But if I had to really, really pick one person who influenced my life, whose work influenced my personality and my writing, I think it would be Jim Henson. I was lucky enough to grow up with parents (especially my mom) who loved Henson's work... all of When people ask me why I became a writer, I often cite books that I read as a child, and authors, as being my inspiration. But that's not quite true. That's really what people want to hear (especially if those people are librarians and teachers). But if I had to really, really pick one person who influenced my life, whose work influenced my personality and my writing, I think it would be Jim Henson. I was lucky enough to grow up with parents (especially my mom) who loved Henson's work... all of it. Not just The Muppet Show, which we watched faithfully. Not just Sesame Street, where the Muppet segments were clearly the best. But I remember going to see The Dark Crystal when it debuted in theaters, and I remember it being a family Event. Terrifying and wonderful, I daydreamed of being a Gelfling. Dialogue from that movie is still in my family's lexicon. Labyrinth remains one of my all time favorite movies, as does The Dark Crystal, as well as The Muppet Christmas Carol. My mom took us to see the strange and disturbing Dreamchild because it had creatures by the Creature Shop. I own every Muppet DVD, but also all the episode of The Storyteller, which were also TV viewing events in my house growing up. I've passed this love of Jim Henson and the Muppets on to my kids, and I'm lucky enough to be married to someone who loves them, too. So you can see that a biography of Jim Henson would be something that I would both be fascinated and repelled by. Looking at my reading history, I've realized that I generally read one major biography a year, and I almost do it like I'm taking medicine. I read biographies of people who fascinate me, or whose work I admire, but sometimes it's too much. What if he turns out to be a total douchebag, like Steve Jobs, or a tortured person sadly in need of therapy like John Lennon? Or slightly boring and not really as great as a few of my heroes have turned out to be? But I started seeing raves for the book, not only because of Jones' writing (which is totally engaging), but also because the subject of this biography really was "both a genius and a really nice guy" according to one magazine review. I tore through this book, only stopping to tell my husband about some of the more awesome parts. Not only was Jim Henson a genius and a really nice guy who was delightful to read about, but everyone around him was interesting, and everything he did was totally fascinating, even his failures. He revolutionized TV. He revolutionized puppetry. He is responsible for not only some of my favorite movies and TV shows of all time, but is also behind pretty much all the best characters and skits from Sesame Street. The King of Eight he did himself, as well as the skit where two real kittens raid a dollhouse. Get this: it was his daughter's dollhouse, and he made it entirely himself! His interactions with other puppeteers, directors, and celebrities were, well, fascinating and illuminating. His philosophies about life, about families, children, and art, were beautiful. His family astounds me as well. For instance, Brian Henson developed the technique that was used to put a whole gang of Muppets on bicycles for a ride through Central Park in The Muppets Take Manhattan. Brian was sixteen at the time. One of his daughters became the VP of Warner Brothers on her thirtieth birthday. All of them turned out to be intelligent, gracious, and gifted adults, which speaks volumes about Jim and his wife Jane, and the kind of people they were. While I can't exactly rave about the book, I can't deny having a goofy perma-grin on my face throughout most of the reading of it, and shameless tears through the brutal ending. The beginning definitely worried me--there's excessive indulgence in the dullard biographer's instinct to trace the family tree a few generations ahead of the subject and bore you with minutiae that won't be relevant to any later part of the book. Once Jim builds his first muppet, though, the story picks up. This is defi While I can't exactly rave about the book, I can't deny having a goofy perma-grin on my face throughout most of the reading of it, and shameless tears through the brutal ending. The beginning definitely worried me--there's excessive indulgence in the dullard biographer's instinct to trace the family tree a few generations ahead of the subject and bore you with minutiae that won't be relevant to any later part of the book. Once Jim builds his first muppet, though, the story picks up. This is definitely a myth-builder of a biography, with messy personal details lightly jumped over and achievements set on high gloss. That said, I'm invested in the myth, and it's definitely an inspiring read for anyone wanting to create something different. This is your great American bootstraps story template, here, and it's fuzzy and anarchic and probably viral over your childhood. This is a brilliant biography of a fascinating man. I was familiar with a lot of Jim Henson's creations of course, but I really knew very little about his life. I found this book very compelling, informative and easy to read. I don't think it's a spoiler of any kind to say you follow Jim Henson to the end of his life and I found myself missing him terribly once we reached his death. However his legacy is incredible and Brian Jay Jones did a wonderful job capturing that. Of my top five favorite movies of all time three are Muppet movies- THE Muppet Movie, Muppet Treasure Island, and Labyrinth. The other two are subject to change and are currently Pacific Rim and the Avengers, which probably shows that I haven't grown up that much because I still love super heroes and giant robot battles. So sue me. The Muppets are what sticks. We danced to Labyrinth and David Bowie at my sisters wedding, and my brother and I played the entire Treasure Island sound track over and over on our way to Des Moines (we also realized we had all the same hand movements and fake voices for the songs), and my Dad sung us to sleep with the Rainbow Connection song. I was raised on Sesame Street, Fraggle Rock, Muppet Babies, and Muppets on Stage. I am fairly certain that my favorite book growing up was "There's a Monster at the end of the book!" which my parents read with appropriate approximations of Grover's voice. I grew up and watched Farscape, I think my dog is floppy-eared and brown because Rowlf made some sort of impression on me as a child, and basically, I've just never gotten over the Muppets. And we shouldn't get over the Muppets. They taught us to appreciate diversity and creativity, to value one another, to be kind and encouraging, to appreciate ourselves, to appreciate this world we live in. Those are lessons that we should hang out to, and its everything that Jim Henson wanted to teach us. He used television very purposefully to be both entertaining and positive, and god I think we could bring some of the back. I'm usually somewhat nervous to read biographies about someone- I'm always afraid that they'll turn out to have been really awful. It always seems like you have to be awful and ruthless to lead, to be remembered, to actually manage to achieve anything. But you dont, and Jim Henson proves it. Turns out he was a pretty genuinely nice guy, and that even years after his death people only have nice things to say about him. They miss him terribly, and they are effusive in their praise, and truth seems to ring in their voices. I don't think I could have worked for him, I just don't have the sort of energy he required, but its good to know that he never felt like he was working, he was having fun and doing something "good," something worthwhile. They were all having fun, and maybe thats why everything they made is so easy to appreciate. There were ups and downs and I think that the book covered them diligently and honestly. Jim had a few extramarital affairs but he was an utterly devoted father, he won an Emmy at 21 but couldn't understand why Labyrinth was a flop and was terribly hurt (dont worry Jim, I own it, I love it, I watch it all the time, LOTS of us do), he was an unfailing optimist and idealist with a head so in the clouds that sometimes he couldn't understand people, but we NEED people like that. He wasn't perfect, but he was excellent. Maybe I'm the wrong person to review this book. I feel like I'm too close to the subject. It was a great biography though, and wonderfully well-written in my opinion. Five years of research and interviews made this book seem deeply personal, like you are sitting in a room, on the floor, listening to Frank Oz and Jane and Jerry Juhl all talk about this man. You just dont seem very far removed from the conversation, and its very engaging. Sometimes its hard to keep track of the timeline because Jim always had ten projects going on at once, he was already on the next thing, but I suppose it felt very much like chaos in real life too. I dont think that there is much the author could have done about that. I also dont feel like the author interjected too much, except in closing, and it was a beautiful sending-off. Overall I would highly recommend this book. Please watch out for each other and love and forgive everybody. Its a good life, enjoy it." Here they are! Youtube links that correspond with specific mentions in the book. I feel like I read an entirely different memoir from most of the other reviewers on Goodreads, because this is not one I enjoyed. Granted, I did not finish it, but that was after multiple attempts at reading it. I usually force myself to finish all books, whether or not I really enjoy them, so this is rare that I am returning this one unfinished. I think a major problem I encounter when reading memoirs like this, is that they are often not written from an objective point of view. Perhaps it's due I feel like I read an entirely different memoir from most of the other reviewers on Goodreads, because this is not one I enjoyed. Granted, I did not finish it, but that was after multiple attempts at reading it. I usually force myself to finish all books, whether or not I really enjoy them, so this is rare that I am returning this one unfinished. I think a major problem I encounter when reading memoirs like this, is that they are often not written from an objective point of view. Perhaps it's due to all the journalism courses I took back in the day, that make me prefer something written from an impartial point of view. This memoir wore me down, because it seemed like an unnecessarily wordy love letter to Jim Henson. Even his faults, for example his many instances of infidelity and his inability to discuss issues, including relationship issues, with anyone else, seemed to be brushed over. I don't really care to know all the sordid details of his affairs and materialism and what not, but I also don't think it should be presented as something that's acceptable. But, then again, those are my own personal morals being projected on something and someone else. I am usually a quick reader, and often finish a book a day, or at least two or three a week. I've been stuck on this particular one for over two weeks. I couldn't make it past the middle, and I dreaded having to pick it up and read it. Obviously not a healthy way to approach a memoir, especially not one that is a required read. I never plan on finishing this, and I'm fine with that. Instead, I'll leave it to the legions on Goodreads who seem to love it, and good for them. I'm just going to continue on with something that's more my speed, and hope that it erases the bad taste this work has left me. My children grew up watching Sesame Street, The Muppet Show and Fraggle Rock. Call the parent police if you must, but occasionally those shows were wonderful “babysitters” allowing me to get chores done and meals prepared. We once took my daughters to a presentation of a behind the scenes look at Fraggle Rock, where my eldest was kissed by a Fraggle – I think it was the highlight of her life up to that point. The chart toppers of the 1980’s are a blur to me (I call them my mommy years) by I can My children grew up watching Sesame Street, The Muppet Show and Fraggle Rock. Call the parent police if you must, but occasionally those shows were wonderful “babysitters” allowing me to get chores done and meals prepared. We once took my daughters to a presentation of a behind the scenes look at Fraggle Rock, where my eldest was kissed by a Fraggle – I think it was the highlight of her life up to that point. 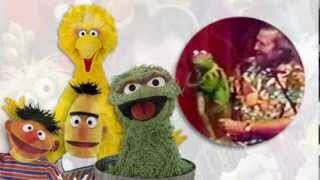 The chart toppers of the 1980’s are a blur to me (I call them my mommy years) by I can still hum the opening theme to Sesame Street and The Muppet show. To this day if we are confronted with an odd assortment of items one, two of all three of us will break out into “One of These Things is Not Like the Other”. For all that I owe Mr. Henson a debt of gratitude. * Nothing to do with this book but honorable mention must go The Elephant Show and Skinnamarink as far as memorable, hummable theme songs from children’s shows go. Having read an excellent book a while back called “Street Gang” by Michael Davis describing the beginnings and the theories behind children’s educational programming but only scraping the surface of Mr. Henson’s life, when I came across this title I knew I had to read it. This book does more than scrape the surface. Mr. Jones’ research is diligent. He gives us a glimpse into both Mr. Henson’s heritage and his life starting with his great-grandparents right through to his untimely death. Mr. Jones describes Mr. Henson’s life, his genius, his compulsions and his family life and he does so admirably yet without sugar coating anything. He shares Mr. Henson’s flaws, foibles and faults along with everything else and that is what made this book such an exceptionally good biography. I find biographies are usually either “tell-alls” or works of gushing admiration. This one is an enjoyable journey through Mr. Henson’s life and career. I even learned a few things I didn’t know along the way. By the end of this book I liked Jim Henson. When it came time to read about his death and funeral it was written with so much respect and poignancy that I am not ashamed to say I had to reach for the tissue box several times. If you can still hum the theme song to Sesame Street, ever owned a Kermit puppet, know who Fozzie Bear is, remember the “hand scene” from The Labyrinth or enjoyed The Dark Crystal – you HAVE TO read this book. If you ever loved the Muppets, Sesame Street, Fraggle Rock, The Dark Crystal, Labyrinth, and The Muppet Babies, well then you love Jim Henson and this is the book for you. Jim Henson: The Biography is a big book. It's length rivals those classic Russian epics of yesteryear. Jones took his time laying out Jim's history for the reader, setting the scenes of his life, and delving into his motivations. At times I felt Jones lingered too long on one incident or another, but that was probably just my If you ever loved the Muppets, Sesame Street, Fraggle Rock, The Dark Crystal, Labyrinth, and The Muppet Babies, well then you love Jim Henson and this is the book for you. Jim Henson: The Biography is a big book. It's length rivals those classic Russian epics of yesteryear. Jones took his time laying out Jim's history for the reader, setting the scenes of his life, and delving into his motivations. At times I felt Jones lingered too long on one incident or another, but that was probably just my subjective interest in the topic. Overall, it's well-balanced and moves along in a linear progression and at a steady pace. Kirby Heyborne, the narrator, was phenomenal. The publishers had to find someone who could recreate Henson's drawling North/South hybrid accent, Frank Oz's crisp timbre, a countless array of friends and family, as well as the very well-known and distinct voices of the Muppet characters, like Kermit, Fozzie and Miss Piggy. His only failing was that he only did one kind of British accent, which only really became noticeable during The Muppet Show years, as the episodes were created in London. But that's a trifling complaint. I mean honestly, look at that list of voices! Incredible! Jim Henson was a big part of my childhood from The Muppet movies, The Muppet Show, Sesame Street and so much more! This book was so much fun reading about his life and how it ended so tragically. I thought I knew Jim Henson, but I knew nothing. I've been a big fan of the work of Jim Henson, even going so far as learning to make my own puppets since I was 10. And I've seen almost everything that he and his family have done, at least with puppets. And now with my child I've seen most of the computer 3D shows as well. I thought I knew a lot about Jim Henson, but this biography made me realize how little I knew. The book starts out with a very touching introduction and a glimpse into how the I thought I knew Jim Henson, but I knew nothing. I've been a big fan of the work of Jim Henson, even going so far as learning to make my own puppets since I was 10. And I've seen almost everything that he and his family have done, at least with puppets. And now with my child I've seen most of the computer 3D shows as well. I thought I knew a lot about Jim Henson, but this biography made me realize how little I knew. Jim Henson: The Biography is a wonderful look at the life of an amazing, creative genius. Jim Henson was one of those exceedingly rare individuals with the drive, creativity and singular vision to change the world. Comparisons are often made (as they are in this book) with Walt Disney, and rightly so. Like Disney, Henson was willing to bet all he had on the next big idea, and those gambles paid off time and time again. He was also adept at recognizing and surrounding himself with talent, and ins Jim Henson: The Biography is a wonderful look at the life of an amazing, creative genius. Jim Henson was one of those exceedingly rare individuals with the drive, creativity and singular vision to change the world. Comparisons are often made (as they are in this book) with Walt Disney, and rightly so. Like Disney, Henson was willing to bet all he had on the next big idea, and those gambles paid off time and time again. He was also adept at recognizing and surrounding himself with talent, and inspiring artists to create their best work. Brian Jay Jones has read through Henson's diaries, spoken with his family members and co-workers, and pored through mountains of archival material to bring us a thorough account of Henson's personal and professional life. One of the things that distinguishes Henson is his eternal optimism. In everything he created, he hoped to inspire us to live together in peace, to find joy, to appreciate the world around us, and to leave it better than we found it. He felt that so much out there was negative, and sought to put something happy into the world. This allowed him to imbue so much gentleness and whimsy into his most famous creation, Kermit the Frog, who many identify as an extension of not only Henson's arm and voice, but character. Another thing that amazed me about Henson was his work ethic. Perhaps compulsion is the better word? We see him getting up before sunrise to start his days: rehearsals, writing sessions, interviews, business meetings, performances, fathering five children, editing, partying, jet setting about the planet, and going to bed in the wee hours of the morning. It's exhausting just to read, and I was amazed at just how many irons he could keep in the fire, all while maintaining his composure, enthusiasm and creativity. As a creator, Henson never wanted to be pigeon-holed or do the same, predictable thing. He got his initial break on television before he was even 20, and considered puppetry to be only a way station on his path towards experimental filmmaking. Opportunities never let up, however, so he redefined what puppetry could be and expanded its audience to adults as well as children. While innovating on Sam and Friends, commercial work, and then The Muppets, he was also directing short films ("Time Piece" is an interesting, early example), TV documentaries, working to expand into film, and even laying plans for a psychedelic night club. The Muppet Show was at the height of its popularity when he ended it after five seasons, eager to move on and make room for new ideas. Much the same with Fraggle Rock, which I was surprised to learn was HBO's first original show. One notable exception was Sesame Street, which Henson remained intensely loyal to and returned to each year to perform for. This is not to say all of his ideas were great. Some of the films and TV pilots were dead on arrival: the critical and box office backlash against Labyrinth really got to him, and I'd never even heard of 1990's The Witches, which author Roald Dahl hated. One of the fun things about reading this book was looking up clips of the various episodes, guest stars, TV specials and other media mentioned. And yeah, some of it is bad. Henson was intensely visual, and interested in doing things no one had seen before, so he'd typically approach ideas from a world-building, cinematic or technological angle, with story being something of an after thought. His early commercials and puppetry work ended up with someone exploding or getting eaten, and ever afterward he relied on writers to fill in the details. He saw the broad picture, and would give directions along the lines of: "we want to feature realistic monster puppets, computer-generated creatures, and have lots of high-flying adventure, with a few car chases and a princess in peril, but at the end everyone should feel a sense of elation, and that they can accomplish anything." That's not a quote, but these were the sorts of directions Jim would provide his collaborators. A hagiography this is not: while Jim Henson was better than most of us, he wasn't a perfect person. He is shown here with all the complexity of a real human being. A cult of personality developed around Henson, and many who worked for him felt ignored or slighted when they didn't get an appropriate amount of feedback or attention. He loved the idea of being a family man, but was not faithful to his wife Jane. As much as he respected and loved her, he eventually got a separation so he could indulge his desire for new partners with a somewhat-eased conscience. He ended up with loads of money and enjoyed the finer things in life (including sports cars, art acquisitions, and five houses around the world), but was never focused on wealth: he gladly shared with his collaborators and loved ones and passed up on easy money in favor of doing new things. I was especially interested to learn more about Henson's religious views, as much has been said about his upbringing in Christian Science. Whatever his sentiments may have been as a youth, the adult Henson was much more broadly spiritual. He believed in reincarnation, but didn't subscribe to any particular faith tradition. He actively investigated many practices and philosophies and was a perennial seeker. I am a pretty big Henson nerd. In college I interned at the Henson Foundation where I was lucky enough to get to see Jim's office, complete with the light up paper moose that is described in the book, tour the creature shop, and to help the Foundation celebrate the craft of contemporary puppetry. I've also read the colorful and photo filled "Jim Henson: The Works", "The Art of the Muppets", which was a catalog for one of the first museum exhibitions. I've seen the more recent museum exhibition, I am a pretty big Henson nerd. In college I interned at the Henson Foundation where I was lucky enough to get to see Jim's office, complete with the light up paper moose that is described in the book, tour the creature shop, and to help the Foundation celebrate the craft of contemporary puppetry. I've also read the colorful and photo filled "Jim Henson: The Works", "The Art of the Muppets", which was a catalog for one of the first museum exhibitions. I've seen the more recent museum exhibition, and screenings of rare and early films such as the ad reel. So, I thought that I knew a lot about Jim Henson. But when I started reading this biography, I realized how much I didn't know. This biography includes an exhaustive and impressive array of interviews of people that knew Jim really well, or which he made a strong impression on even in passing, dating back to childhood. For example, I had no idea that Jim had started working in television at the age of 17, or how many shows that he worked on or pitched before the Muppet show. To me, it was particularly rewarding to gain a better understanding of how crucial it was for him to meet people at a point in his career where he wasn't certain whether he wanted to continue with Muppets, that had mastered the craft of puppetry, and how deep his appreciation for the craft was, and how much he innovated within the art form. It is also incredibly satisfying to read about how his success came about partially by good timing, partially by having an incredible work ethic, and partially by being generous enough in spirit to work with an amazingly talented array of collaborators, which to me is both a realistic and inspiring model for growing as an artist. If you want to get a deeper look at the fascinating man that was Jim Henson, this is the book for you. Just don't expect that look to be too deep. Although hundreds of pages are devoted to his artistic and business affairs, I would have liked to know more about Henson's family, how they were coping with his success and long absences, his numerous affairs. 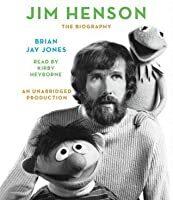 Although well-written and certainly thorough, this biography seemed to be more about “Jim the mogul” than “Jim the man.” And although I know p If you want to get a deeper look at the fascinating man that was Jim Henson, this is the book for you. Just don't expect that look to be too deep. Although hundreds of pages are devoted to his artistic and business affairs, I would have liked to know more about Henson's family, how they were coping with his success and long absences, his numerous affairs. Although well-written and certainly thorough, this biography seemed to be more about “Jim the mogul” than “Jim the man.” And although I know photos add substantially to the overall cost of a book, I would’ve loved to see some color pictures of the Muppets. Needless to say, they were mentioned often, and it would’ve been nice to have some visuals to go along with the text. Finally, I would also have liked to know more about Jane Henson (Jim’s wife) and her role in the making of the Muppets, partial ownership of the company, and mothering of their five children. I know this was a biography of Jim Henson, not Jane, but I got the feeling a lot went on between them that was not expressly stated. Perhaps this was done out of respect for Jim, and perhaps for family members who (understandably) didn’t want him portrayed in a negative light. But if you're looking for inspiration on how to create a (mostly) authentic life, this biography is a great place to start. Jim Henson had the kind of existence we should all strive for--one filled with love, humor, and kindness. I can’t say I recommend this. For a book with two Muppets on the cover, they spend an awful lot of time talking about how Henson didn't want to be either a puppeteer or The Muppet Guy. It also presents Dark Crystal and Labyrinth as being complete failures. There’s a throwaway comment in the epilogue that points to the movies finding a greater audience in video. The pacing is painfully slow. A little less of the summarizing of the daily activities logged in the personal diary would help the flow a I can’t say I recommend this. For a book with two Muppets on the cover, they spend an awful lot of time talking about how Henson didn't want to be either a puppeteer or The Muppet Guy. It also presents Dark Crystal and Labyrinth as being complete failures. There’s a throwaway comment in the epilogue that points to the movies finding a greater audience in video. The pacing is painfully slow. A little less of the summarizing of the daily activities logged in the personal diary would help the flow a lot. 30% into the book and it finally hits Sesame Street. Holy crap this has bloat that would make Stephen King call for an editor. It would benefit from a diet that kills a third or more of the darlings. Don't tell me how someone feels, and then present a quote from that person that says the same thing you just told me. The narrative oddly glosses over Henson’s infelicities but revels in a blow-by-blow of his last hours, all the way to the gore spattered death rattle. On the plus side, it's GREAT to fall asleep to. A mostly-admiring account that doesn't entirely shy away from some of the more unflattering elements of Henson's life. The NYT reviewer said it best; it's "an exhaustive work that is never exhausting." Jones has woven together a ton of information but manages to keep the story moving along month by month without very much psychologizing. And I may or may not have teared up at the end. I loved this book. Lots of interesting moments in Jim's life, many of which I did not know, and some I really wanted to learn more about. The book doesn't disappoint with much personal details provided by his family and personal archives. I adore the muppets and the Dark Crystal, so it was a treat to read about how these came to be. Jim was an interesting guy and I have to admit I did not know much about his passing when it occured, since I was nearing graduation from high school. It really flew I loved this book. Lots of interesting moments in Jim's life, many of which I did not know, and some I really wanted to learn more about. The book doesn't disappoint with much personal details provided by his family and personal archives. I adore the muppets and the Dark Crystal, so it was a treat to read about how these came to be. Jim was an interesting guy and I have to admit I did not know much about his passing when it occured, since I was nearing graduation from high school. It really flew below my radar. Reading about his passing was heartbreaking, but his wishes after his death were inspiring. His life crossed many famous people including George Lucas and a crazy amount of celebrities in the day that begged to be on the muppet show. Byt the time he was 47 he had produced, directed, written, created: fraggle rock, Labyrinth, three muppet movies, five season of the muppet show, the sesame street muppets, workshops in NY and London, and five children. He performed Kermet thee Frog and brought puppeterring to the forefront as art. The guy was a creative genius whose decisions didn't always pan about but seemed to always do what was true to his art and passion. He left a legacy that will be enjoyed for hopefully many years. i know I'll be watching the muppets with my son soon. About the author's writing style: quick, economical and joyful to read. Book moves so fast, that it is easy to tear through. "what Jim did was wonderfully complex, though not complicated—and elegant in its simplicity. “When I was young,” wrote Jim, “my ambition was to be one of the people who makes a difference in this world. My hope still is to leave this world a little bit better for my being here.” And he did." I'm not much of a biography reader but having grown up watching Sesame Street and The Muppets back when we only had 3 or 4 channels on a bunny-earred TV (and PBS was fortunately one of them), I have always had a soft spot in my heart for Henson's work. So I knew I wanted to read this bio! Due out this year on what would be his 77th birthday, this book is definitely for the serious bio reader. There are not a ton of pictures (an insert and a picture at the beginning of each chapter), but you do ge I'm not much of a biography reader but having grown up watching Sesame Street and The Muppets back when we only had 3 or 4 channels on a bunny-earred TV (and PBS was fortunately one of them), I have always had a soft spot in my heart for Henson's work. So I knew I wanted to read this bio! Due out this year on what would be his 77th birthday, this book is definitely for the serious bio reader. There are not a ton of pictures (an insert and a picture at the beginning of each chapter), but you do get a well-rounded, well-researched look at who this man was. The author had complete cooperation from Henson's family and friends, and had access to many of his personal effects and papers. The book starts with how Henson's parents met and settled in Mississippi, tracing Henson's creativity back to a relative in the Civil War, and shows how Henson was raised a kind and patient man with Christian Scientist roots. There was always laughter in their house. His parents were hard workers too so it's easy to see where Henson got his determination. You also learn where he got his creativity from - he was a very imaginative child and was encouraged by his grandmother. This book is pretty much a linear timeline of Henson's life, which chapters devoted to Sesame Street, Sam and Friends, The Muppet Show, each Muppet movie, The Dark Crystal, etc. It definitely takes patience to read it. But there are some real gems sprinkled throughout the text. In the first chapter, we learn The Wizard of Oz was his favorite movie (it came out when he was just three), but he was more afraid of the MGM lion roaring at the start of the movie. We also get behind-the-scene glimpses of the Muppets and Sesame Street that are noteworthy, like reading how all the sets were elevated six feet off the ground so the puppeteers could stand up while operating the Muppets. Or how the director would yell "Blue Sky!" when a child came on the set to alert adults to watch their language (though Henson hardly ever said a cuss word). We learn how Kermit was born and got his name. Or that the Muppets partly got their name from a TV listing that was badly copy-edited. I loved the personal glimpse into his early professional relationship with Jane when they were doing "Sam and Friends." I especially liked the chapter about how young Jim loved TV and just wanted to work in television back in the early 1950s. He was more interested in being artistic and working on set design or publicity. He excelled in college in theater doing set design and doing publicity artwork. He learned puppetry by checking two books out at the library in order to audition for a TV show looking to hire a puppeteer, and of course the rest is history though Jim kept trying to get out of puppets and into show design. And of course, there's a personal glimpse into Henson's life. We learn about the creation of our beloved Muppet characters. We find out Henson loved women, and loved to collect art and fast cars. You'll learn about his early work with the Muppets on SNL and how he strived to get his characters their own show, and obviously succeeded. And then of course there's quite a bit about the eventual sale of the franchise to Disney and also Henson's untimely death which happened on the day the sale was to be final. The man really was a creative genius who worked very hard for his small company, and in the end, that's all he wanted to do was be creative, be an artist. From his Mississippi upbringing to a world-hopping entrepreneur, Jim Henson had a wild and diverse life that led to fame and affluence as the amiable and imaginative creator of the Muppets. He is celebrated as possibly being the best puppiteer ever, and certainly the most creative. Brian Jay Jones tells Henson’s amazing story in this lengthy and detailed biography that was fully supported by Henson's family, employees at his various companies, and puppeteering colleagues. The details of his life From his Mississippi upbringing to a world-hopping entrepreneur, Jim Henson had a wild and diverse life that led to fame and affluence as the amiable and imaginative creator of the Muppets. He is celebrated as possibly being the best puppiteer ever, and certainly the most creative. Brian Jay Jones tells Henson’s amazing story in this lengthy and detailed biography that was fully supported by Henson's family, employees at his various companies, and puppeteering colleagues. The details of his life, as ascribed to by these insiders, are fascinating. First, a word of warning. This is not a frothy and speedy read. Jones is a ponderous writer who is overly generous with facts about people, places, and things. There were times I had to set the book aside and tend to my personal needs and family responsibilities that stacked up due to inattention. It seems that the author explored every minute of every day of over fifty years of Henson’s life. It seems as if every person he ever encountered is mentioned. Every puppeteer who ever put a hand up a Muppet’s shirt is appraised. Every trip, place of residence, workshop, film studio, vacation jaunt, and business deal—-in short, every event in Henson’s life—-is carefully detailed. But don’t let the fear of a boring epic deter you from opening this book. Jones has a remarkable ability to gather all this information, assemble it with clarity and readability, and whisk the reader through its crowded corridors to the shining conclusion of a virtuoso's life. You will marvel at Henson’s ability to gather together his ideas and turn them into thousands of projects, technical conceptions, costumes, decorations, and oddball characters, bringing them into the singular focus of his Muppet enterprise. Henson’s concept of the performer physically being a part of the puppet, performing the movements and the puppet’s voice while remaining out of the audience’s sight, although not original, was so innovative, well performed, and entertaining that the Muppets’ fame skyrocketed. Most of the time the puppeteers were forced to crawl around under elevated stages with their arms extended overhead with a puppet attached. At times two or three performers were entangled with each other watching a television monitor, while they manipulated different parts of the Muppet’s body in perfect unison as they produced the physical act and voice being projected. Henson himself was submerged in a watertight chamber for over three hours, day after day, breathing in an oxygenated atmosphere, with his arms projecting up through watertight sleeves making Kermit look real as he sat and sang while sitting on a log in the middle of a pond. By the way, Henson was also doing the singing. Personally, Henson was regarded as a “saint” by many. He was revered by both his employees and his competitors. He was able to keep his mind wrapped around the chaos of his many complicated projects while keeping the silliness he loved to resonate in his projects. He had his flaws but they were largely minimized because of his milieu. I found this magnetism to be a big part of his story. Go to the author’s website for some wonderful videos of many Muppet performances. I viewed them all and remembered why I elbowed everyone out of the way when the Muppets were on television. I recommend this book to all those who were captivated by the wonderful Muppets and who want to know about an amazing man. This isn't just a biography, it's a love letter for the creative process and how one man lived it whole-heartedly. I learned that Jim Henson was not perfect (my heart ached for his wife, Jane), but he possessed the kind of personality to make others aspire to be better people - and he believed in them, in return. Maybe we all catch some of his positivity through his Muppets...I know the world seems brighter after an episode of Veterinary Hospital. I was also pleasantly surprised by how he broke This isn't just a biography, it's a love letter for the creative process and how one man lived it whole-heartedly. I learned that Jim Henson was not perfect (my heart ached for his wife, Jane), but he possessed the kind of personality to make others aspire to be better people - and he believed in them, in return. Maybe we all catch some of his positivity through his Muppets...I know the world seems brighter after an episode of Veterinary Hospital. The book was impeccablly thorough and revealing. It's a 5 star book... But I hardly enjoyed it at all. I found it very interesting, but I'd rather that I never read it. Sometimes knowing too much about your heroes makes them into real people and the imagined version you had of them gets shattered. I finished this crying and blowing my nose copiously in a coffee shop. Henson's work meant so much to me throughout my life. I was singularly obsessed with The Dark Crystal. But learning about what a creative, optimistic and caring man Henson truly was inspired me beyond words. A lovely biography of a creative genius. "Sometimes, said writer Jerry Juhl, Jim set that example by appreciating life's absurdities. 'Jim had a sense of humor that just sorted out life,' said Juhl. 'And, you know, too muc I finished this crying and blowing my nose copiously in a coffee shop. Henson's work meant so much to me throughout my life. I was singularly obsessed with The Dark Crystal. But learning about what a creative, optimistic and caring man Henson truly was inspired me beyond words. A lovely biography of a creative genius. I love Jim Henson and all of his works that I've seen. He was an inspiration to me while growing up (even though I never watched Sesame Street as a child and grew up only on Muppet Babies), and I even did a middle school project about his work with Sesame Street. Thus, I was extremely excited when I found out that Brian Jay Jones was writing an official, long-form biography, especially since I had already read Jim Henson: The Works: The Art, the Magic, the Imagination over and over again, and re I love Jim Henson and all of his works that I've seen. He was an inspiration to me while growing up (even though I never watched Sesame Street as a child and grew up only on Muppet Babies), and I even did a middle school project about his work with Sesame Street. 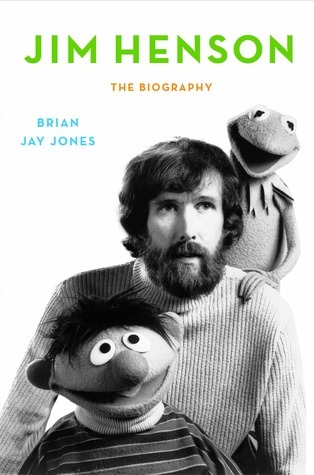 Thus, I was extremely excited when I found out that Brian Jay Jones was writing an official, long-form biography, especially since I had already read Jim Henson: The Works: The Art, the Magic, the Imagination over and over again, and really wanted something that dug deep into his life. I waited a good two or three years for this to come out, and I'm pleased to report that it's a really phenomenal work. Every page in this book contains some new tidbit or quote about Jim Henson, from many of his closest colleagues and family members. Jones has done a fantastic job compiling the material that was out there, as well as interviewing the major players himself. The notes section in the back of the book is extensive and just goes to show how much care was put into this project. Jim Henson's life was mostly filled with long periods of work, then short, extravagant vacations. He loved what he did, and could never stand still, always working on a new project, even when he could rest on his laurels and ride out the success of his previous projects. As such, the book moves at a breakneck pace, jumping from project to project, but managing to convey an absurd amount of information about each one as it goes along. The stories of the creation of The Muppet Show as well as the beginnings of Fraggle Rock were specially meaningful for me, and while some of his projects were not very well received, Jones manages to make them interesting to read about, as Jim is such a fascinating person and the tidbits Jones presents are top-notch. Of course, Jim Henson's life had its sadder moments as well, and Jones covers those unflinchingly, detailing his marital and other personal issues in a tactful but frank way, and the second-to-last chapter about his illness and death was heartbreaking. After waiting so long for this book, and knowing it was about a figure who I admired so much, I couldn't imagine it letting me down. However, it really went above and beyond everything I hoped for. This really does feel like the definitive guide to the life and works of Jim Henson, and is filled with quotes and insights from the man himself and the people dearest to him. Because Jones always ensures that the focus is on Jim, the book can't help but exude the sense of joy and optimism that Jim exuded throughout his entire life, which really is the highest praise I can think of. Despite my absolute admiration for anything attached to the Henson name I found that my feelings about this biography were mixed. Let me begin by saying that I am a huge fan of everything Henson from Sesame Street and the Muppets to Fraggle Rock and the Storyteller. Labyrinth is my all time favorite movie and even though I did not realize it Jim Henson also oversaw another film that is close to my heart, The Witches. So despite my love for his work and appreciation of his genius I found that the man behind the Muppets was for the most part kind of boring. Is this blasphemy or simply the failings of the author? Brian Jay Jones obviously did a ton of research and is a genuinely huge fan of Henson but the minute details included and the recording of rather mundane occurrences made it very difficult for me to get through this massive book, 600 pages! The first 2 chapters are especially dense and dry; do I need to know about his grandparents? Do I really care about his father's childhood or how his parents met? Do I need to know every house and car that Jim purchased, or thought about buying? Also, the biography was anything but objective, often Jones’ gushing was little more than sappy hero worship. He certainly skimmed over the darker portions and failings of Jim Henson. He never seemed able to really acknowledge fault or he provided excuses, saying that’s just Jim for you, boys will be boys. A part of Jim’s life that I found particularly difficult to deal with was the treatment of his wife and the fact that he had several affairs and dated many women at once. Not much detail is given to this aspect of Jim’s life as the author seems to think that this is merely a side effect of Jim’s loving idealism. I would have preferred a more honest look at the facts. It seems that anything that could be controversial was heavily minimalized. However, with that being said there were many passages that were incredibly powerful and interesting. 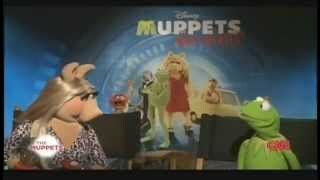 I loved seeing the Muppets come together and enjoyed the behind the scenes information. Undoubtedly the passage of this book that will stay with me forever is the account of the memorial service for Jim after his passing. This was truly written beautifully and I felt like I was sitting in the pew of the Cathedral along with the other mourners. I was balling. Overall, an amazingly detailed account of Jim Henson, the business man, and his company but very little information about his family and wife. After reading, you are gifted with a higher level of gratitude for the man who created icons. It is difficult to get through but rewarding. Jim Henson grew up when television was brand new. People were fascinated with being able to see something happening RIGHT AT THAT EXACT MOMENT hundreds or thousands of miles away. Madcap comedians like Milton Berle, Ernie Kovacs, and Sid Caesar were very frequent performers. So were puppets: the rigid-faced kind like Howdy Doody, or the somewhat flexible-faced kind like Ollie the dragon. The net effect: Henson was hooked. And he stayed enchanted and hooked for the rest of his life, moving from o Jim Henson grew up when television was brand new. People were fascinated with being able to see something happening RIGHT AT THAT EXACT MOMENT hundreds or thousands of miles away. Madcap comedians like Milton Berle, Ernie Kovacs, and Sid Caesar were very frequent performers. So were puppets: the rigid-faced kind like Howdy Doody, or the somewhat flexible-faced kind like Ollie the dragon. The net effect: Henson was hooked. And he stayed enchanted and hooked for the rest of his life, moving from one kind of creative work to another. Suddenly--he died. No one could believe it. Jones' biography abounds with details like the challenges of recording scenes with Muppets on locations away from the studio, or re-designing a puppet's eyes so she looks softer, or re-creating a whole character, like one pig (just like many others in the batch) who becomes Miss Piggy. Stories within stories. Fascinating. You bring your own memories to this book, and you find yourself saying, "I remember when...."
SIX WORD REVIEW: Cruising in my Kermit green Lotus. This was a wonderfully loving tribute to a magnificent puppeteer, creator, director, and innovative man. If you have a small love for his work or are still a little in awe of his life and work - I highly recommend this book! It starts off a little slow when describing his childhood, but, once they get into his career it really picks up and becomes a delightful read! Brian Jay Jones is the award-winning, bestselling biographer of some of the world's most iconic creative geniuses, from American writer Washington Irving and Muppet master Jim Henson, to Star Wars creator George Lucas and children's writer/artist Dr. Seuss. Brian's biography of Jim Henson won the Goodreads Choice Award for Best Biography of 2013, an honor he still appreciates every day. A note from Brian Jay Jones is the award-winning, bestselling biographer of some of the world's most iconic creative geniuses, from American writer Washington Irving and Muppet master Jim Henson, to Star Wars creator George Lucas and children's writer/artist Dr. Seuss. A note from Brian: "I've taken a somewhat different tact with this site, starting with a 'day one' approach where l've added books as I purchased and read them, rather than trying to recreate my entire library (apart from a few favorite biographies that I can't resist sticking on the shelf)." “When I was young," wrote Jim, "my ambition was to be one of the people who makes a difference in this world. My hope still is to leave this world a little bit better for my being here."